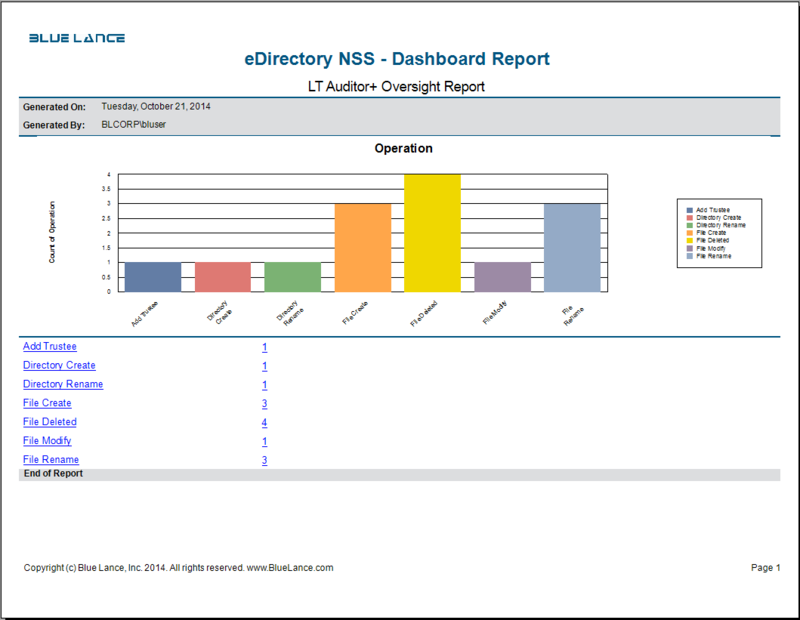 Blue Lance’s LT Auditor+ 2013 NSS File Systems for SUSE Linux is designed to provide detailed auditing and monitoring system activity delivering Clear, Concise, Actionable intelligence. 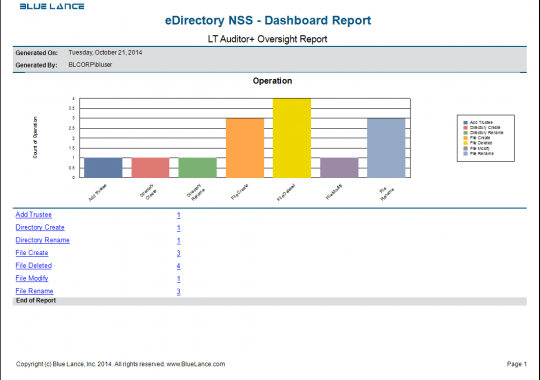 LT Auditor+ 2013 NSS File Systems for SUSE Linux interacts seamlessly and unobtrusively with the operating system to capture all essential activity and changes for NSS File Systems. 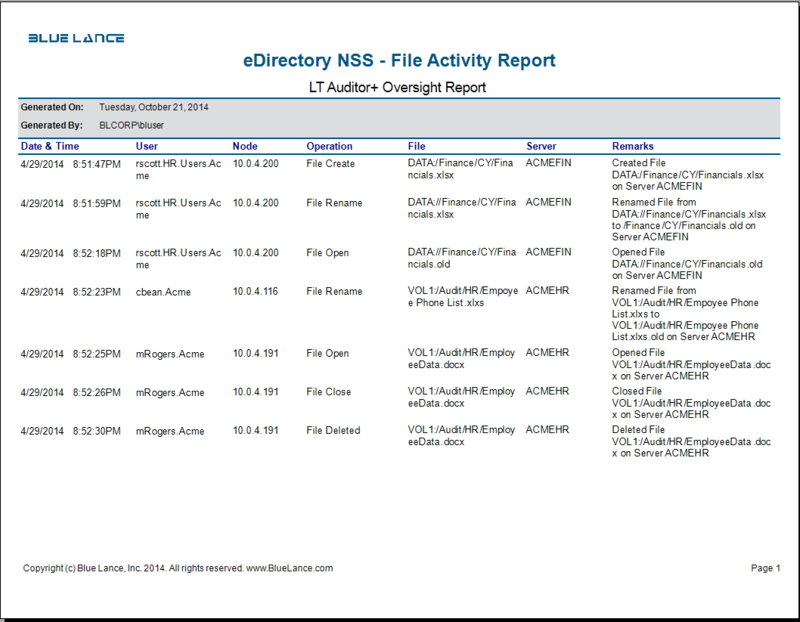 Quality Data: Removes the complexity from cryptic vigil logs by providing clear, concise information on who did what from where and when on your NSS file systems in human readable format. Real-Time Alerts: Get notified in real time when critical or sensitive files are accessed by unauthorized nodes or users. Simplified Management:Provides the ability to audit and monitor multiple NSS volumes across servers or clusters from a single console. 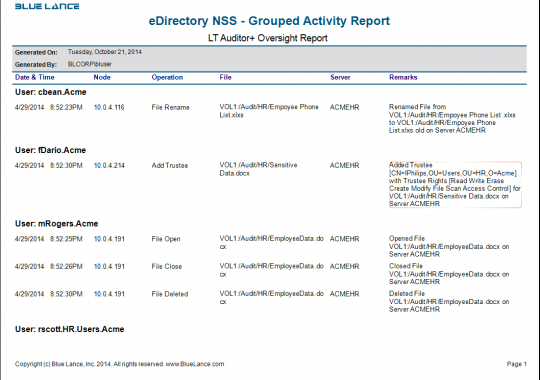 Trustee Changes: Monitor when permissions and trustees to sensitive files are changed. This is important to secure the principals of ‘Least Privileges’ and ‘Need to Know’. 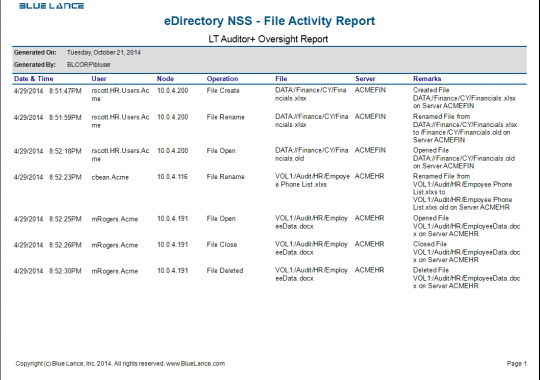 File Access: Captures the source IP address/workstation name for all access to critical files and folders on NSS file systems. This ensures accountability as you know who exactly is accessing critical or sensitive information and also acts as deterrent to prevent insider threats. 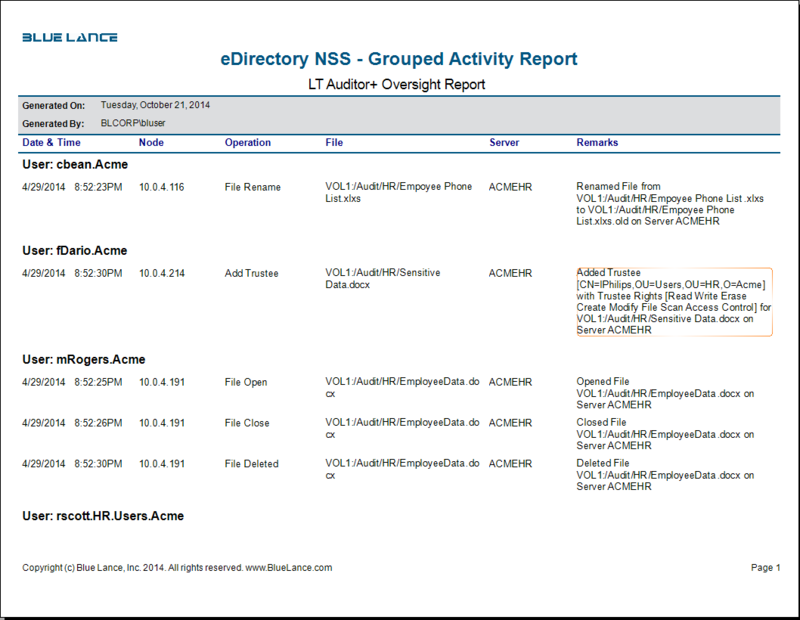 Multi-Forest Support for Active Directory Users: Provides the ability to audit Active Directory users accessing OES2105 NSS volumes using CIFS (Common Internet File System protocol).